The Under Milk Wood script is genius. Dylan Thomas (1914 – 1953) wrote exclusively in the English language and has been acknowledged as one of the most important Welsh poets of the 20th century. That’s obvious when you watch Under Milk Wood, the stage production at Circa. Not written originally for stage, much of the conversation in Under Milk Wood was created by 17 year old Dylan for the Swansea Grammar School magazine. As a young man, Dylan talked about creating a play about a Welsh town. And in 1954, the BBC commissioned the radio production of Under Milk Wood. The film version was released in 1972 starring Richard Burton, Elizabeth Taylor and Peter O’Toole. The cast perform the eccentric townsfolk of (fabricated) Llareggub, the Welsh village, admirably. Their professionalism is evident. Six actors playing numerous characters and narrators, with eloquence and dexterity. A stunning performance considering for two hour the dialogue is rapid and quick fire. How many lines needed to be memorized and rehearsed? And yes, they can sing too, as you’d expect of the ‘Welsh’! 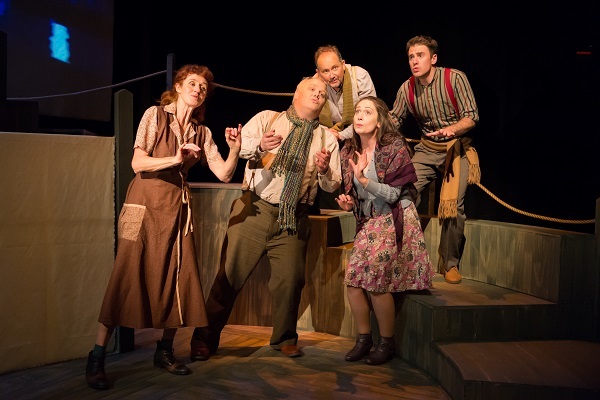 Under Milk Wood is a timeless classic (set who knows when) and this Circa production is a very slick, with top shelf direction from Ross Jolly and team. Every now and then, one needs to be reminded of the fine art of theatre. Under Milk Wood does that. A very special treat. On at Circa now. Original generation time 0.9156 seconds. Cache Loaded in: 0.0293 seconds.